The best feature of D-Link’s DCS-933L IP (Internet Protocol) camera is its zero-config installation routine. There’s literally no setup routine: you basically plug it in, connect it to your router (using Wi-Fi Protected Setup or by plugging in an ethernet cable), and it works. Unfortunately, that whiz-bang feature works only with D-Link routers. If you’re using any other brand of router, it’s just as much of a pain in the neck to install as any other IP camera. 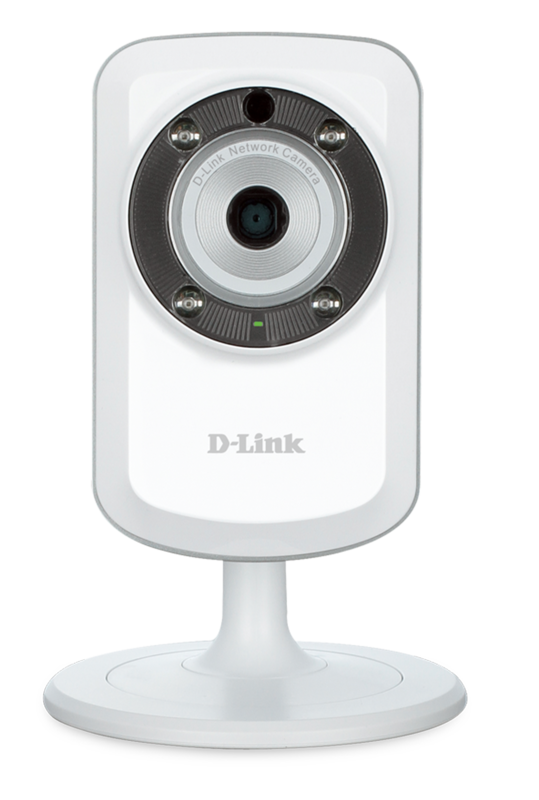 D-Link’s DCS-933L IP camera has plenty of features, including the ability to see at night. As you can see from the image capture on this page, the camera’s resolution is pretty grainy, even for an IP camera (maximum resolution is just 640x480 pixels). Logitech’s Alert cameras are among the best I’ve tested and deliver resolution of 960x720, but they rely on power-over-ethernet. The DCS-933L’s video feed is also very susceptible to being blown out by strong ambient light sources, including lamps. In the example shown here, the blinds inside the glass of the French doors are closed and the doors themselves face due north, so that’s very indirect sunlight coming in. The DCS-933L is outfitted with infrared illumination, so it works in both daylight and in the dark, but its image quality is even worse under those conditions—especially when light is leaking in from another room. When you’re multitasking—monitoring a room while you’re working on a project, surfing the web, or what have you—sound can alert you to something happening in another room. That’s where the DCS-933L’s built-in microphone comes in handy. But the camera doesn’t have an audio-out that you could hook up to a speaker, so there’s no way to set up a two-way intercom with it. More importantly, it doesn’t have any means of storing files, so it can’t capture a snapshot or record a video clip when sound or motion is detected. The camera’s maximum resolution is a grainy 640x480. You can configure the camera to send a message when it detects sound or motion (you can limit this to a schedule when you’re not typically at home), but you can’t configure rules with the mydlink Home app based on the camera detecting sound or motion. 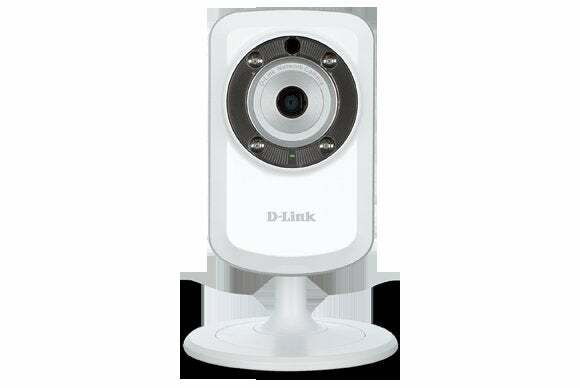 You’re limited to motion-based rules based only on triggers from D-Link’s DCH-S150 motion detector, but the camera doesn’t appear in the list of devices that can respond to those events. Sign up for a free mydink account and you can monitor one or more of D-Link’s cameras from the web using a PC, tablet, or smartphone. You’ll find basic controls there, including a snapshot button so you can take pictures of whatever is on camera at the time and store it on your device. D-Link doesn’t provide any option for storing images or video clips in the cloud, though. That’s why it can take snapshots on its own. A street price hovering around $65 helps the DCS-933L deliver plenty of bang for the buck, including the ability to operate as a wireless range extender. It’s the best component in D-Link’s Connected Home Portfolio, but it’s definitely not a high-end device. Read this story for a holistic view of D-Link’s Connected Home Platform. You’ll also find reviews of D-Link’s DSP-W215 Wi-Fi Smart Plug here, and of D-Link’s DCH-S150 Wi-Fi Motion Sensor here. The best attribute of D-Link's DCS-933L is its price tag. It's a solid value as a stand-alone device.